Alstom has has sold several dozen "Coradia LINT 41" to various operators. For purposes like testing and demonstrating modern trains at locations without such service nearby, the company has built one surplus unit and painted it in company colors. If Alstom does not need it, it is available for rent. 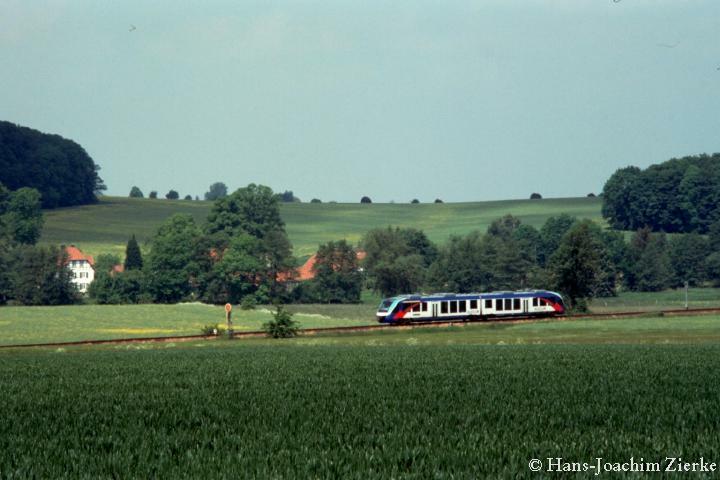 The photo shows, that Eurobahn must have been a little short of trains. Rumour has it, that ZF has a problem with the availability of the hydromechanical gears.